La grenouille digitale engages students with an interactive, virtual dissection, allowing the student to learn each of the cuts necessary by "cutting" with a digital scalpel before watching the full screen video. The program also makes learning anatomy an enjoyable experience, by allowing students to have fun and learn through exploration and discovery. Animations and interactions allow students to see how the frog's body worksfrom blood pumping through the heart, to joints that can be built up and moved by the user. La grenouille digitale is so much more effective than a wet lab because the interactive dissection is seamlessly linked to a comprehensive anatomy and physiology section, with human anatomy comparisons. A fascinating ecology section reminds students that biology is the study of living organisms. La grenouille digitale eliminates the need for frog dissection to teach anatomy, protecting a diminishing species. La grenouille digitale focuses the student on the study of structure and function, rather than on the process of dissection. La grenouille digitale also encourages squeamish students who may otherwise avoid biology and science. The Anatomy module, with its animation, movies, photographs and in-depth text, seamlessly links from the dissection, providing a close-at-hand research as students work through the dissection. Comparisons to human anatomy are only a click away. 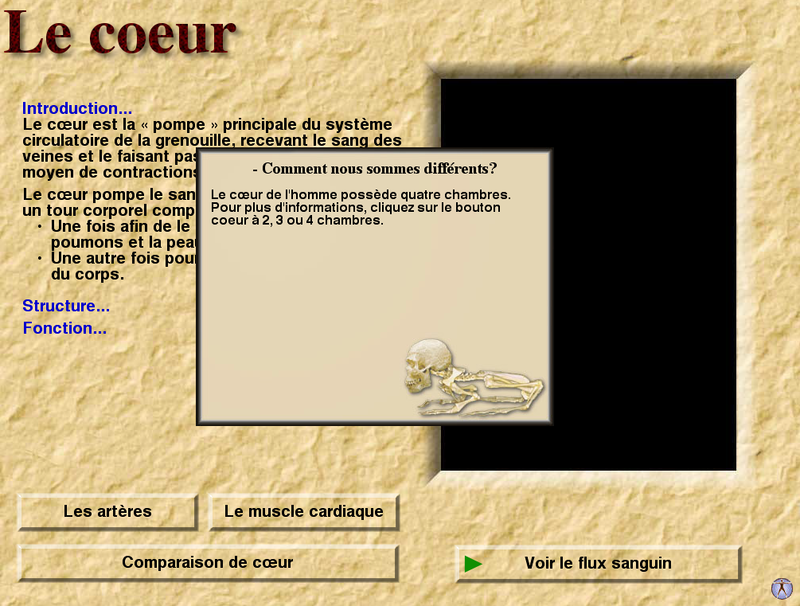 La grenouille digitale was designed for use at the secondary school level. However, it is a valuable resource for students from middle school all the way up to university and college. It's also useful for zoos and zoologists as a teaching tool, as well as natural history enthusiasts, biologists, libraries and anyone interested in the general principles of anatomical science. Our Find feature allows you to quickly jump to screens by typing in the topic you are searching for. La grenouille digitale is a download only, it can then be installed on the hard drive of standalone computers or with the purchase of a multiseat license, over a LAN. 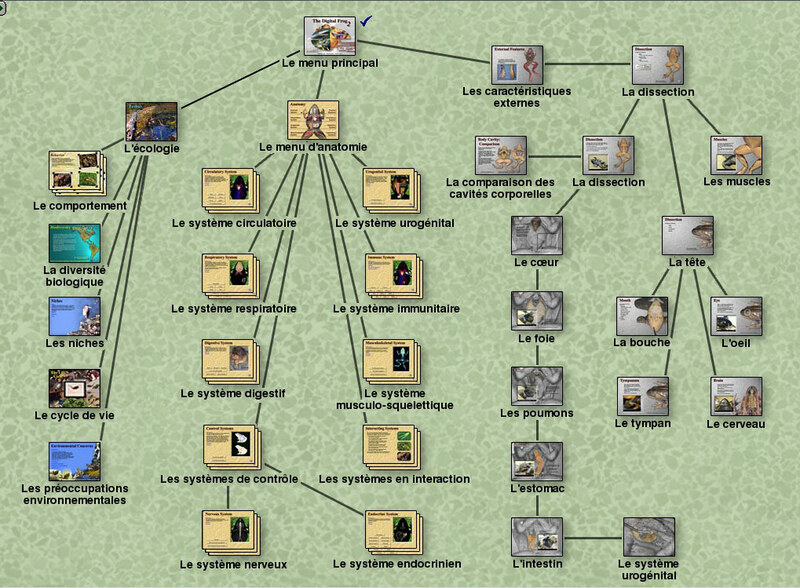 La grenouille digitale runs on both Macintosh and Windows platforms.